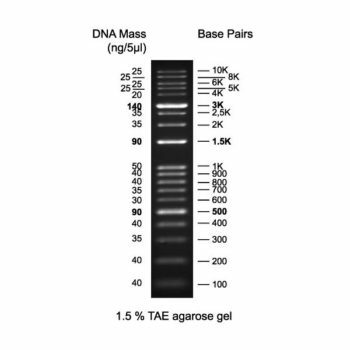 The GeneDirex 1kb DNA Ladder (Ready-to-Load) contains a unique combination of a number of proprietary plasmids digested with appropriate restriction enzymes and PCR products to yield 13 fragments, suitable for use as molecular weight standards for agarose gel electrophoresis. 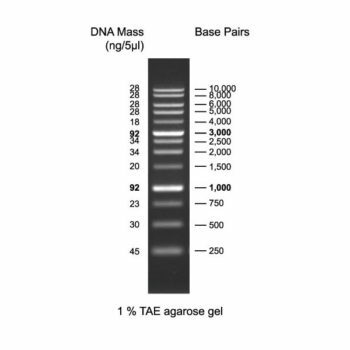 The DNA includes fragments ranging from 250-10,000 base pairs. The 1K and 3K bands have increased intensity to serve as reference points. 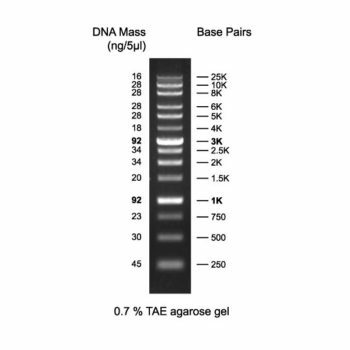 The approximate mass of DNA in each band is provided (0.5 µg a load) for approximating the mass of DNA in comparably intense samples of similar size. 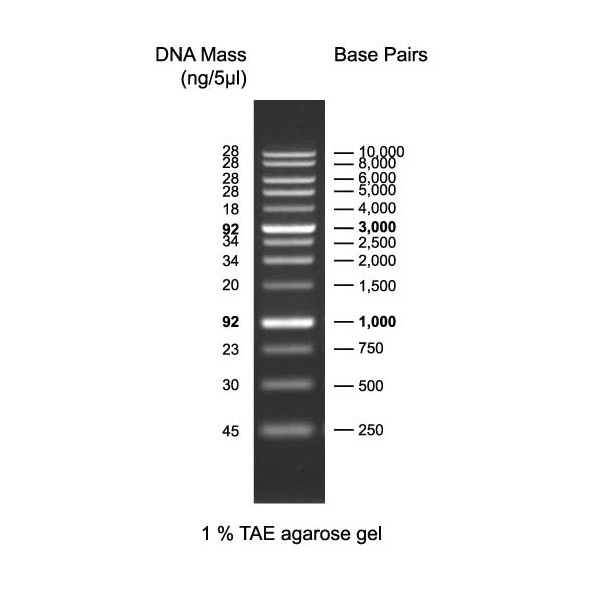 PCR products and double-stranded DNA digested with appropriate restriction enzymes, are phenol extracted and equilibrated to 10 mM Tris-HCl (pH 8.0) and 10 mM EDTA. Containing bromophenol blue & xylene cyanol FF as tracking dyes.